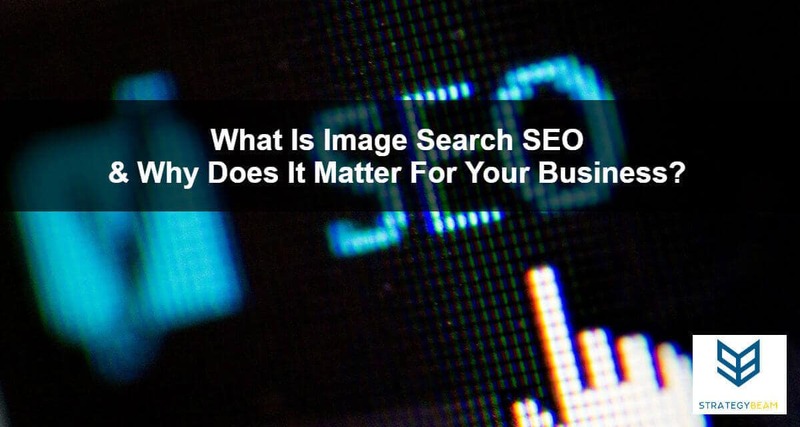 What Is Image Search SEO & Why Does It Matter For Your Business? It is easy to focus on one or two things when it comes to small business SEO marketing. While Search Engine Optimization is one of the most important aspects of your Internet marketing strategy, Google and other search engines are becoming over-saturated with companies competing for traditional SEO success. This means that you will need to spend more time and money on technical SEO and content strategy if you want to rank in the conventional sense of SEO. While you might be able to sustain the new world of SEO costs, your customers are looking at more than just where you rank in SERPs. There are many ways to drive qualified traffic outside of focusing only on your keyword rankings. These are all part of the broader Google ecosystem, and since your prospects are looking for your products and services on Google, you should focus your attention on these other lucrative (and often overlooked) ways to generate traffic and boost sales. Today let’s take a look at how your business can use Google Image Pack to help increase brand awareness and drive qualified traffic to your site. Before we jump in, I would like to thank Leo Santos, a local marketing professional, for his help in talking through the initial idea to build this case study. What Is The Google Image Pack? One of the most underutilized and underappreciated pieces of Google SERPs is the Image Pack. This is a unique results section that appears for specific search phrases when Google deems visual content is valuable. 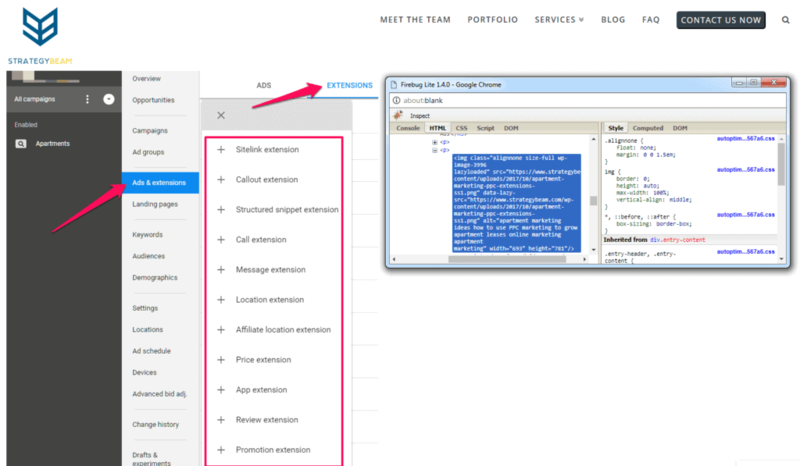 This section can appear based on some variables like user intent, available human-readable content, relevant machine data, and search results. 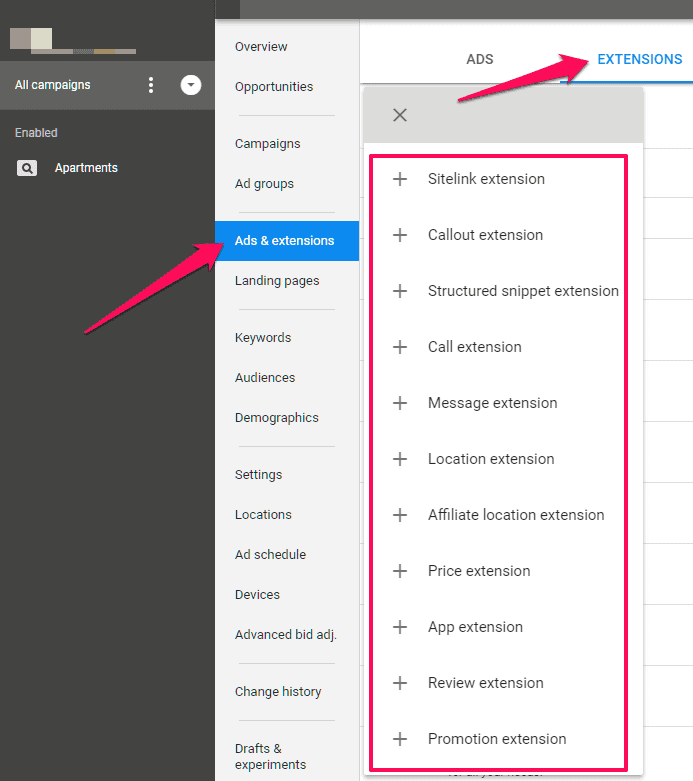 When this section appears is a bit more tricky to anticipate than keyword ranking in the main body of SERP or Google AdWords because the ranking rules seem to go beyond the core organic algorithm. In plain English, this means that the Google Image Pack will not always appear in all results, so just be thoughtful in what you optimize and how you optimize it based on your products, services, and industry. Why Do You Want To Rank In The Google Image Pack? Content towards the top of Google tends to be considered more valuable. This is pretty well known- you want to rank near the top of page 1 compared to the bottom of page 50. Even results on page 2 see a dramatic reduction of clicks and engagement compared to results on page 1. If you are towards the top of Google, then you will get more traffic, and higher quality leads to close more sales. The Google Image Pack appears right under the 4th organic result on page one of Google. This means that if you can optimize high-quality images for your audience, then you can claim a prime spot between position 4 and 5 on the first page of Google. All this from just including visuals in your web pages and blog posts- something that you should be doing anyway to improve readability of your content. 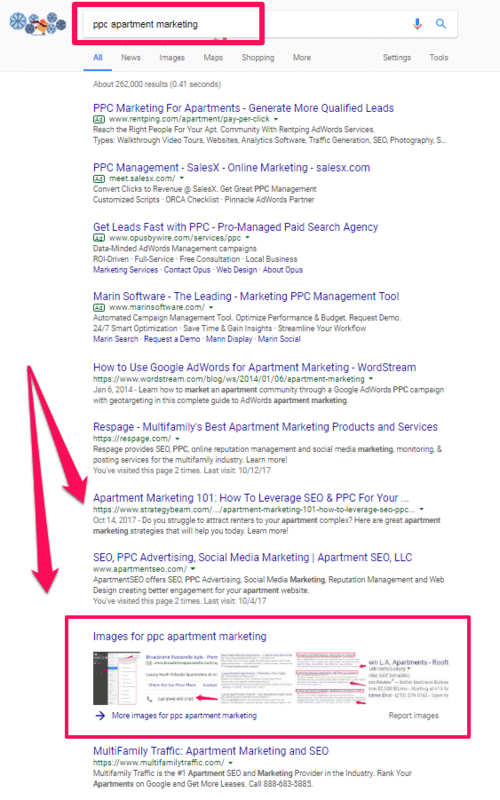 During a recent audit of StrategyBeam content, I noticed that we were ranking in the top positions for the search phrase “PPC apartment marketing.” I was pretty excited about this result since our company has been putting a lot of time and energy in testing various search terms for apartment marketing. However, while I was doing a manual audit of content and search results in Google with some online marketing tools for small business, I noticed that we were also dominating the Google Image Pack in SERPs for this keyword phrase. The most exciting piece of this discovery is that all of the images in the Image Pack were from the same blog post that was ranking in Organic results. This tells me that we optimized the images correctly and Google predicted that our pictures and screenshots would add value to someone searching for the specific search term. While this was an exciting find, it got me thinking about how we could attract even more benefits from this opportunity. This lead me to do a few quick experiments on the Google Image Pack, and how to optimize content for Google Search SEO strategies. Here are a few of our findings to show you how your business can optimize images to capture this valuable placement in Google SERPs. From the discovery, I started thinking about how we could build even more value from our premium ranking. On the first page of Google, I could begin utilizing this Image Pack to cement our brand based on the search terms and results. To take full advantage of this, I started looking at existing blog posts that are ranking for key search terms so we could add screenshots or other images to obtain this same result in Google Image Pack. In the past when I added screenshots I would not brand the images, but I think we should start branding all images because when they appear in the Image Pack, it will help with our branding efforts. Along with branding, the Image Pack could start to be a good source of website traffic. I went through the process to see how a user would experience the images in the Image Pack and this is what I found after clicking on the first image. As you can see, the original screenshots that Google served (with the pink annotations) are high-quality and offer great information and tutorials. I think Google knows that the information I am sharing is valuable, so they want to promote easy to digest content like images to help with the learning process. I used the green arrows to highlight the images in the opened image pack that have the StrategyBeam logo. This is a great way to not only build trust with readers, but it is also a way to familiarize readers with the brand and develop thought leadership. When I was writing the original post I knew I had to keep my keywords tight in the copy, but also keep the naming convention consistent between the file name, alt text, and keywords in the blog post. I think keeping the same keywords throughout all three elements helped Google understand the importance of keeping the image with the blog post in SERPs. 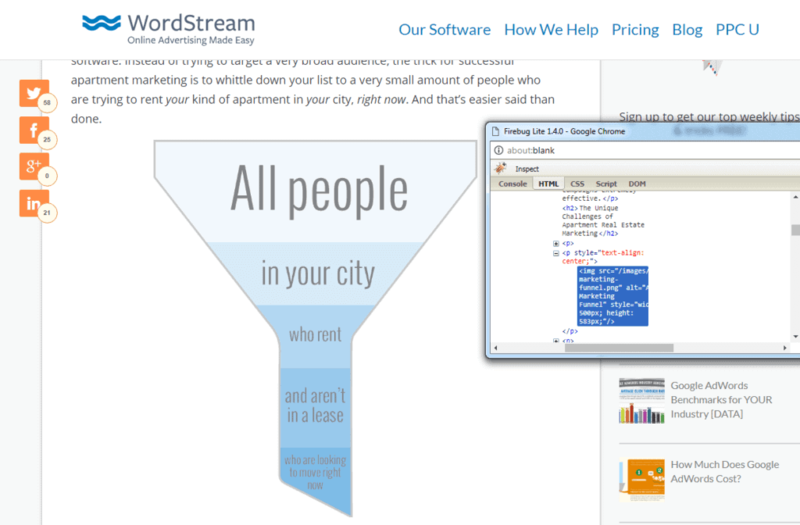 I compared the technical aspects of my top ranking image to the top ranking image of WordStream. I did this because WordStream is ranking higher than our blog post in Organic results but lower than our post in the Image Pack. Were there specific reasons that I could look at to understand why WordStream had images that ranked lower than StrategyBeam in Google image SEO? This is what I found from the top ranking WordStream image in the Image Pack. I thought it was interesting that WordStream ranks higher than our post in Organic search results, but lower than our images in the Google Image Pack. I think this has to do with the naming convention that our images have compared to theirs. Based on this finding I plan to continue searching for new ways to drive results in the Google Image Pack, because this has promising opportunity to claim a valuable position in Google even if you are outranked for a specific keyword. Images that appear in the Google Image Pack are only 90px tall. This means that you need to include high-quality images, so they retain their clarity at this size. Think about how complicated the image is, and make sure the image is appealing to your audience. Considering the size of your images and how they will look at much smaller proportions is just another dimension if you want to capture the most space on Google. Remember to include appealing images that your readers will want to search for, and when they find it that they will want to click on. This is the only way you will reap the benefits of Image Search SEO. Getting content picked up by Google can be tricky because you need to optimize it for search engines and improve it for readers. The same is true for your images if you want to appear in the Google Image Pack. You should include at least a few images in your content when appropriate, but these images need to be optimized for search engines and readers. If you want to receive maximum benefits for images appearing in the Google Image Pack then you should consider putting your logo on each screenshot and photo you use on your website or blog (when it will look good and not cause legal issues). While I am not sure if the complexity of each image (lots of lines, abstract shapes, etc) contributes to whether an image shows or not, I do know that from a user perspective this can make a big difference. Since the Image Pack is appearing in a prime spot on the first page, you should make sure that all of your images can be understood quickly and easily. Also, think about the size of the images as they will appear in the Image Pack. Having a very complex image might look great when it is a large size, but each image is no larger than 90px tall so the images could look confusing when viewed as a small thumbnail. This means that you need to consider how the images will appear to your audience at 90px tall. I would not make this your primary consideration when designing creative, but it could be a valuable opportunity to differentiate yourself from your competition. You can see from the above information and research that your business could have a valuable opportunity to stand out from your competition by utilizing the Google Image Pack. Think about how you can capture qualified traffic by appearing in other areas of Google. Google Image SEO will continue to be an increasingly important aspect of your SEO marketing strategy. Think about how you can integrate relevant images into your blog posts and other pieces of content for your business today!